Dr. Erica Mitchell, who performed procedures and held leadership positions in OHSU’s Division of Vascular Surgery, left in June 2018 after 12 years over frustrations with how she was treated, the suit says. In extensive detail, it alleges that at OHSU she endured a “two-tier working environment that favors men over women.” The complaint names three male physicians as defendants, including Dr. John Hunter, executive vice president and CEO of the OHSU health system, saying they contributed to a sexist environment. The suit includes a long list of accusations, saying that OHSU managers paid Mitchell less than male counterparts, blocked her from moving up the leadership ladder, demanded that she be more compassionate than male counterparts, justify her clinical judgment more often that her male peers, asked her to resign from a position to make room for a man, allowed men to make sexist comments and tolerated male colleagues who had intimate relations with co-workers but retaliated against her for doing so. This is the second gender discrimination lawsuit against OHSU from a female physician in the past year. The other case, filed by cardiologist Dr. Rupa Bala last May, is scheduled to move to mediation later this month. But OHSU indicated in a statement to The Lund Report that it has no intention of negotiating plans with Mitchell over her claims. Mitchell advanced at OHSU after she was hired, the suit says, moving from assistant professor of surgery to associate professor to professor. She performed procedures on the vascular system, the body’s network of blood vessels, published research and developed education materials used in her profession nationally. At OHSU, she held administrative positions, including vice chair for quality for the Department of Surgery at OHSU and medical director for vascular and endovascular surgery at Salem Hospital, which had a partnership with OHSU until 2017. A key complaint of the lawsuit centers around pay: “Dr. Mitchell was paid less than men whose jobs required substantially equal skill, effort and responsibility, including Dr. Amir Azarbal, Dr. Timothy Liem, Dr. Gregory Landry and Dr. Cherrie Abraham,” the suit says, adding that they all had similar responsibilities for surgery, patient care, research, instruction and other duties. The complaint says Moneta refused to increase her pay. The complaint says that men automatically received raises but that women had to find advocates to lobby on their behalf to get a pay raise. “The women there for years have had to basically wheedle their way through the back door to get raises similar to men,” said Jeff Merrick, a trial attorney representing Mitchell. The allegations also include a claim that female physicians are slotted for educational roles -- not administrative positions. When Moneta’s job as division chief opened, Mitchell wanted to apply, the suit says. But she says she was told she could not because she’d had had an intimate relationship with Moneta. The suit says that all of the men in the division were asked to apply for the position but that none of the women received an invite. It also says that men and women were treated differently when it came to other career opportunities. It alleges that another plaintiff in the case, Dr. Kenneth Azarow, currently surgeon-in-chief for Doernbecher Children’s Hospital, asked Mitchell not to apply for membership in the prestigious American Surgical Association the same year that one of her male colleagues was applying, to help his chances. She applied anyway and was accepted. In another instance, the suit says Hunter, OHSU’s CEO of Healthcare, told Mitchell to resign as co-chair of simulation, to allow a man to take that role, in order to become vice chair of quality. The suit says male physicians “did not have to horse-trade for leadership roles” and that managers did not ask men to step aside so that Mitchell could take on new responsibilities. And finally, the complaint says that when Mitchell announced she was leaving that she was stripped of her administrative roles, but that men were not. It says Dr. Lloyd Taylor was allowed to keep his leadership positions until he left and maintained his OHSU affiliation after he stepped down. The complaint says Azarow called Mitchell “the competition” when she said she was leaving and shunned her at last June’s meeting of the American Board of Surgery. “Defendants ‘blackball’ or authorize or tolerate the blackballing of women by a male supervisor who has purposefully tried to prevent women from being hired at academic institutions,” the complaint says. The suit accuses OHSU managers of perpetuating more subtle types of gender discrimination, such as calling female physicians by their first names while referring by men as Dr., asking women to justify their clinical decisions more frequently than men and to show more compassion and be “less businesslike” towards others than men. Studies have documented gender inequity in medicine and uncovered bias against female professionals. In fact, a recent study by OHSU examined attitudes experienced by female residents performing procedures between 2013 and 2016 at an unnamed institution. It found that the women received more instruction than the men even though their performance was the same. This suit is unusual in the specificity of the allegations. Merrick said his first complaint was more general but that OHSU’s lawyers contacted him and said it was too vague so he amended the first version, packing it with details. “They wanted specifics, and now it’s out there in the public record,” Merrick said. An OHSU physician who knows Mitchell said the allegations in the complaint ring true. “Ask any other woman in the university and you would not get a different description than what she described,” the physician said. She requested anonymity over fears of retribution. 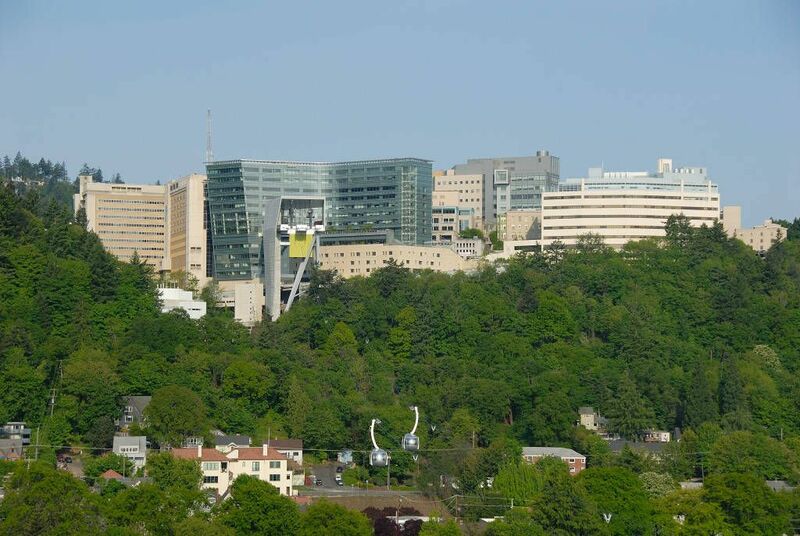 Have a tip about OHSU or another health care story? Please reach out and contact Lynne Terry at [email protected].